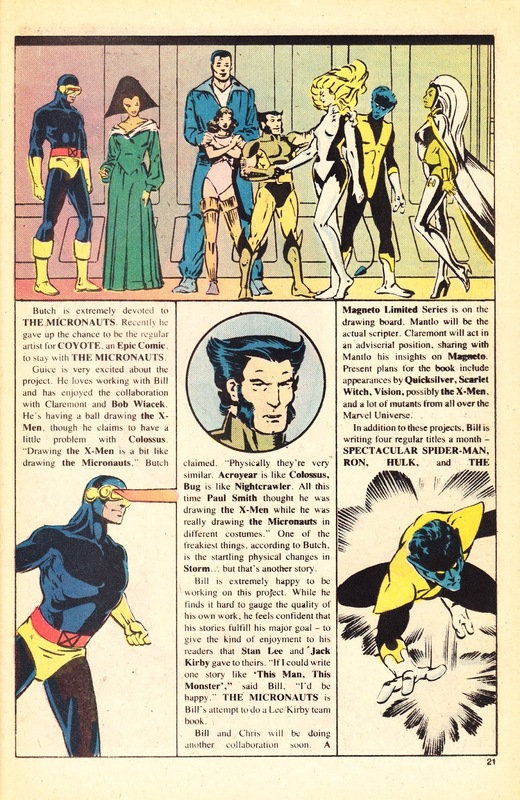 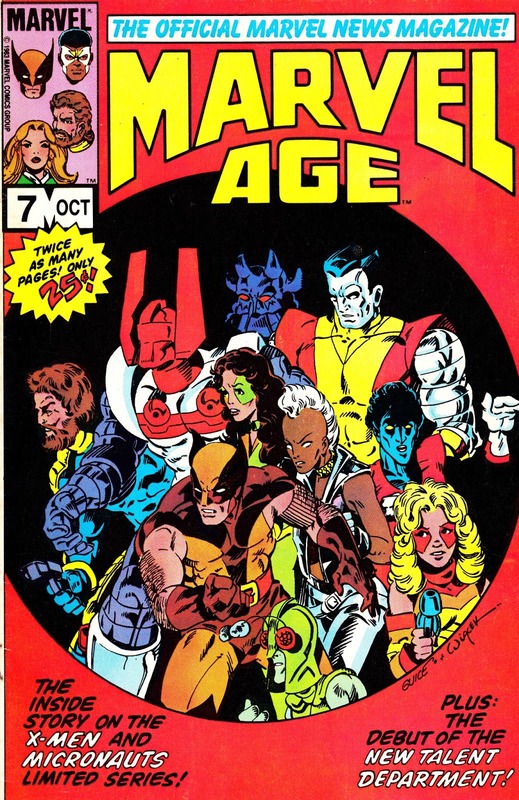 From 1983: A behind-the-scenes feature (and exclusive cover) devoted to THE X-MEN AND THE MICRONAUTS four-parter from the pages of in-house puff-piece producer MARVEL AGE MAGAZINE. 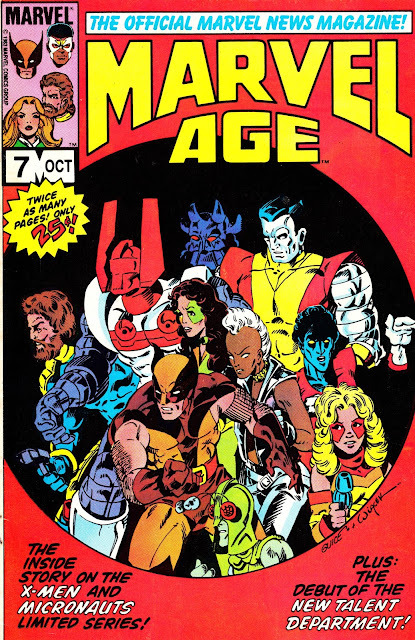 The cover was a special MARVEL AGE commission. 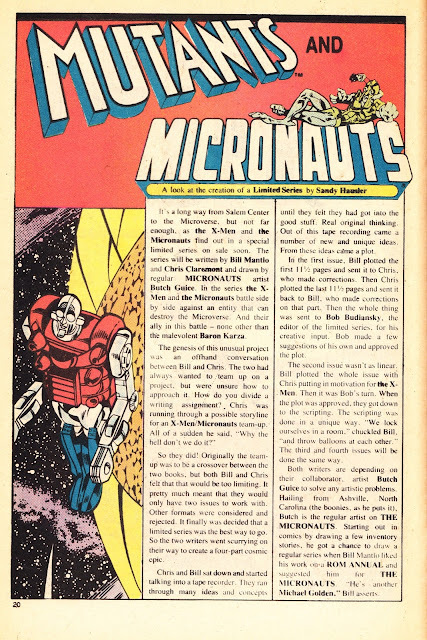 See the previous post for the cover gallery. 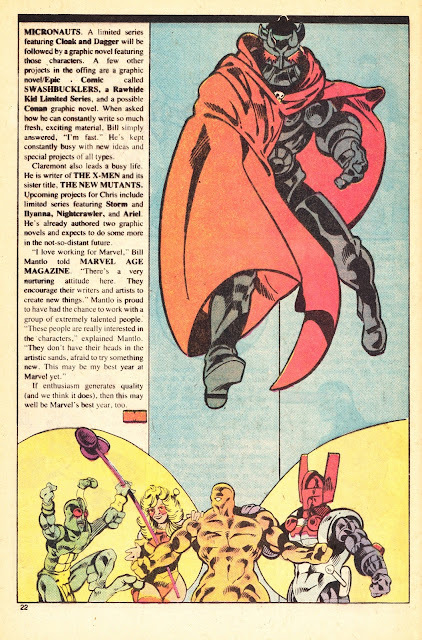 This, incidentally, was the first issue of MA to boast 32 pages (for a mere 35 cents compared with 60 cents for a regular Marvel title... and they contained external advertising but, of course, cost a lot more to make) rather than the initial 16 pages (for a quarter).